Premise? Make pie, bring to the park. Share pie, chat with friends, eat pie. Ribbons, applause, fun. Good times. In the end? 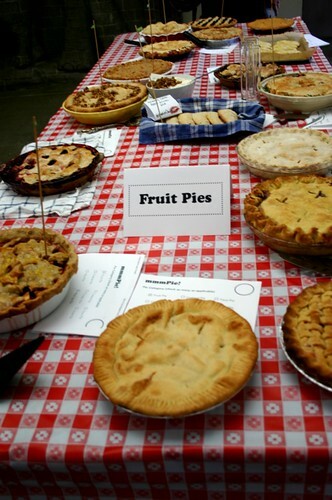 We had 50+ pies and 100+ people. Of course we're doing it again. 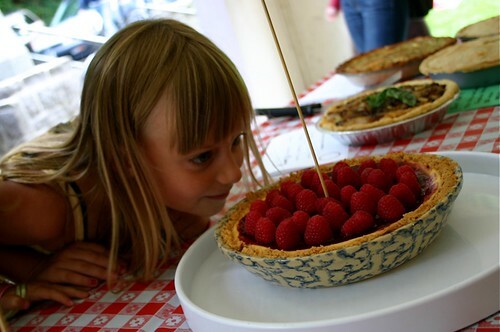 Make sure you're following the Pie Off blog, where I'm a contributor and fellow Pie Commissioner. Mark your calendar and plan to come. It's fun. It's quintessential. It's summer. It's pie. And this year? It's the Summer of Pie. Hold on here...do you mean the yummy homemade flaky non-frozen pie crusts with homemade fillings sort of pies? Can I have ice cream with mine? ?